This Turkey Sausage and Red Bean Stew is a pretty awesome comfort food! How nice is it that I put this stew into my crock pot before a soccer game, then came home to dinner all ready and waiting for us to eat? In fact, my crock pot was so nice that as we walked in the door, it scooped the prepared stew into six serving bowls, poured milk for us to drink, set the table and sang us a song while we gathered around. Okay, not really. But still, having a hot meal ready and waiting made me feel like someone else had done all the work. This stew is especially easy to make if you already have turkey sausage and red beans cooked up ahead of time. I typically make six pounds of the sausage at a time, then freeze it in one pound packages, making it easy to throw into a meal like this one. This stew is great served with hot cornbread and a glass of milk. It is also gluten free - a bonus for those of you with GF needs! With my crock pot cooking our dinner for us, now all I need is an appliance that will clean my kitchen for me. Oh wait – that’s what the kids are for. We make kitchen clean-up a family project – here’s a post explaining more, along with a free downloadable kitchen chore chart. Not quite cold enough for stews yet. I did use my crockpot for a shredded bbq chicken sandwich and put them on your wheat buns. With your new recipes, http://www.melskitchencafe.com and skinnycrockpot.com, my winter cooking will be primarily in the crockpot. Thanks! This sounds delicious, will have to try it when it cools down. We live in AZ & we’re still having 100 degree weather here :( I’m praying for a cool down. It is stew weather here and my crock pot and pressure cooker have been working daily to keep us fed. You stew sounds yummy! I’ll have to give it a try soon. Sorry to tell you but its stills about 95 degrees here in Az, with no signs of leaving. Trust me, we Arizonians aren’t very happy about it! Definitely grilling weather right now. I’m in Az too, the 90+ is killing me at 29 weeks preggo but I’m finding I need to eat fall foods to keep my sanity. It is getting cooler here, so this recipe came at the perfect time. It looks so warm and filling! It’s stew weather here in Michigan. We had sausage, potato & corn stew one day this week – yum! Oh how I miss my kitchen cleaners! Unfortunately they have a way of growing up! I miss having lots of people to feed too! Yay! Today is my grocery shopping/ meal planning day. This is going on the list! Yesterday was the first day I remembered that winter is very cold! And it takes 15 extra minutes to get the kids ready to leave the house. 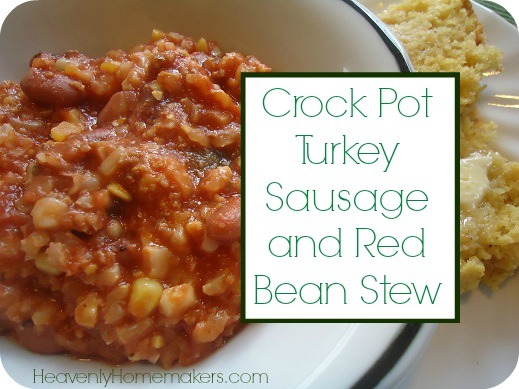 I love my crockpot and use it year-round, at least 2 times per week. IMO, hot weather is perfect crockpot weather because the crockpot won’t heat up your house like the stove or oven, plus you don’t have roast yourself outside grilling. It is definitely stew weather here in Missouri. I made chicken noodle soup in the crockpot yesterday with your whole wheat noodles and crispy cheese crackers. It was yummy! It’s a dreary stew-type day in my part of Ohio! We had soup and bread yesterday. I’m planning sausage gravy and biscuits tonight! Can anyone tell me, can you use wheat flour in gravies? I have been wondering, but didn’t know if it would thicken the same way as white flour. Thanks! Yes, you can use your freshly milled wheat flour for this, but I sift mine slightly for things like gravy to remove some of the bran. Otherwise it will have a grainy, rather than smooth texture. Incidentally, the holes in the flour sifter I have are too big to accomplish this, so I use a strainer instead and tap the side to “sift” the flour. I just made this tonight for my fam. I don’t have a crock pot, so I cooked it on the stove. I used a lot of Cajun seasoning to spice it up. They loved it! Thanks for the great recipe. It’s definitely fall, almost winter weather here in Indiana. And rainy too yuck! So this definitely comes at the perfect time. Plus it’s very easy for a college student to throw all of this in, turn it on, go to school, and come back to a hot dinner. 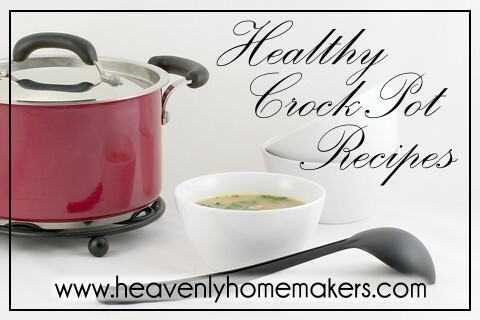 Thank you for beginning to post crock pot recipes! I made this last night and we are having leftovers for dinner tonight, along with your fabulous cornbread. I really liked it but it needed something…so I added a couple of tbsp of taco seasoning (your recipe!). It is very good! Next time, I think I’ll try it with spaghetti sauce instead of tomato juice and see how it turns out. Thank you for this great warm recipe! I just made this tonight on my stovetop. I ran.out of time and I was too hungry ;) It was so so good! I even bought Sheltons at my local organics store. Will be adding this to my cooking rotation!! Can turkey burger (ie:turkey shredded like hamburger) be used instead of turkey sausage? I’m not a big sausage eater. Isn’t tomato juice a processed food? Update. What I ended up doing was leaving the water and rice out. I added some onion, celery salt and taco seasoning. Oh and when I picked up my meat order they did not have ground turkey in stock. Instead of making my own sausage I just got a pound of their hot sausage. I cooked up brown rice separately. I would say a 6-quart is pretty standard. I make this recipe in a 6-quart with no problems! Mine is a 6 qt. and it worked well with the recipe doubled. Can I use brown Minute rice for this? I’ve not tried it, but I think it should work!